Company news. A new contract, entering a new market, collaborating with a new business partner, winning an award, increasing staff numbers, experiencing a surge in demand for your products or services — all of these are potential news stories that could be of interest to your clients and/or customers. New appointments. News of new appointments to your board of directors or senior leadership team will be of interest to your customers, business partners, employees and shareholders. Sponsorships and CSR activity. News of your company’s sponsorships and participation in corporate social responsibility initiatives will be of interest to your customers, employees, community and other stakeholders. Seasonal tips and advice. Many businesses have expertise that is relevant at particular times of the year. From career advice for recent graduates to tips on getting your car ready for a cold winter — whatever your firm’s particular expertise, it’s a good idea to think about seasonal opportunities to issue relevant press releases. Comment and insight. There is no shortage of new regulations, statistics and Government reports in the news each week. Your insights into the potential impact of these developments will be of interest not only to your customers but also to journalists who want to understand the impact on particular industries or individuals. Even if your press release does not get picked up when issued, a journalist may come across it and contact you the next time they cover the particular issue. Remember, whether you are sharing company news, insights or seasonal tips, the key is to focus on what your readers will find helpful and interesting. For more on this topic, see How to generate content ideas. If there was a single, over-riding message at last weekend’s sell-out BloggerConf it was “find your unique voice”. Time and again throughout the day speakers with different perspectives stressed the importance of having a distinct voice and staying true to your area of expertise. The event, organised by Emma O’Farrell (EOF Media) in partnership with Lifes2Good took place in Dublin’s five-star Marker Hotel on Sunday 22 November 2015 and attracted a strong turn out of Irish bloggers who specialise in everything from beauty and fashion, to travel, fitness and business. A packed programme had BloggerConf trending on social media from early on Sunday morning as speakers shared their insights on the business side of blogging. The perspectives varied — some focused on opportunities, others sought to raise awareness of threats and challenges. From monetising blogs to social media and the law, the emphasis throughout was practical and there was lots of good advice for novices as well as for more experienced bloggers. Masterclasses provided expert advice on working with brands, Google Adsense, Video for Vloggers and Twitter while networking breaks ensured delegates had the opportunity to meet and learn from each other in a friendly and supportive environment. If you’re interested in blogging, take a look at #BloggerConf on Twitter where delegates are sharing links to their learnings from the event. When’s the last time you checked your accounting firm’s online presence? Accounting firms that are not visible online can miss out on attracting potential new clients. This came home to me recently when I set about engaging an accounting firm and found it surprisingly difficult to identify suitable firms in my local area. It’s not that the firms don’t exist. There were actually quite a few listed in various directories but these listings provide little information and, like most people these days, I do my homework online before making that initial phone call. Accountants are trusted advisors and it is important to find someone you can get along with. Being in the content business, I wanted someone who understood digital media and marketing and I also wanted someone younger than me because I hope that the firm I choose will continue to look after my needs until I retire. Whatever the combination of factors likely to influence a potential client’s choice, the chances are the first place they’ll look for a service provider is online. 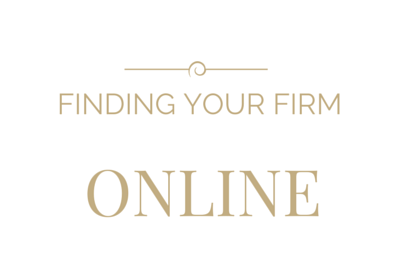 So, how easy is it to find your firm? One way to check your accounting firm’s online presence is to ask a friend or neighbour to run a Google search and see where your firm’s website shows up. If you made it on to the first page of the search results, congratulations! If you didn’t, you may need to look at your website design and content. (Those are topics I will discuss in future blog posts). For now, let’s assume that the potential client found your firm, clicked the link and they’re now on your website. What they see may depend on whether they are using a mobile phone or tablet, a laptop or desktop computer. Unless your site is easily readable on each of these devices, you risk losing your potential new client. Responsive sites display correctly on all devices and with more web searches now done from mobile devices, it’s really important that your site is mobile friendly. You may have heard of Mobilegeddon earlier this year when Google introduced a change in favour of websites that are mobile friendly. So, if your firm’s website is not responsive, you again have work to do. Does your site provide your address, telephone number, email and social media links? Does your site list – and describe – the services that your firm provides? Does your site provide testimonials from satisfied clients? Does your site provide an ‘About us’ page with photos and biographical information about your firm’s partners and key staff focusing in particular on their qualifications and individual areas of expertise? 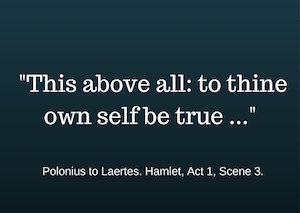 Who regulates your firm and have you included the relevant details on your homepage? Does your website provide an easy means for clients to contact you? If your website provides a contact form, is the inbox for messages from that form monitored and responded to on a timely basis? Are your social media links easy to find and have you included links to the LinkedIn profiles of your key personnel and your business’s LinkedIn page? Potential clients may be more likely to contact you if they find that you have contacts in common. It is useful to provide some additional options since not every potential client will be ready to call you following their first visit to your website. You can improve the chances that they’ll come back when they’re ready to talk if you provide an option for them to subscribe to your firm’s newsletter, request a free report or ask to join the mailing list for your next client briefing. Finally, while this article has focused on websites, remember that potential clients are also likely to search for you and/or your firm on social media sites such as Facebook, LinkedIn and Twitter. So, if you have a presence on those platforms, it’s worth considering whether the information you provide is sufficient to meet your potential clients’ requirements. Thanks for reading and if you found this article useful, please consider sharing it and/or subscribing to my newsletter for future updates. Any researcher who has had to rely on microfilm to read old newspapers for research will welcome steps to digitise and make searchable the newspaper holdings of national libraries. In an initiative that takes advantage of widespread interest in history and genealogy, the National Library of Australia is using crowdsourcing in an interesting project to move forward with digitising the NLA’s newspaper collections. Crowdsourcing is a process that engages large numbers of individuals in projects that have some public benefit. The National Library of Australia’s Trove project allows users of the the NLA’s newspaper archives to correct the text of digitised news. For example, if you are searching for your Australian ancestors and come across relevant news or announcements in any of the newspapers in the Trove archive, you have the ability to correct typos in the text and submit the corrections. It takes only a couple of minutes to correct a block of text but if enough people do it, it greatly speeds up the process for the project as a whole. The National Library of Australia is leading with a great example that demonstrates how crowdsourcing can be used by national libraries to improve access to collections and enhance their services for the benefit of all users.